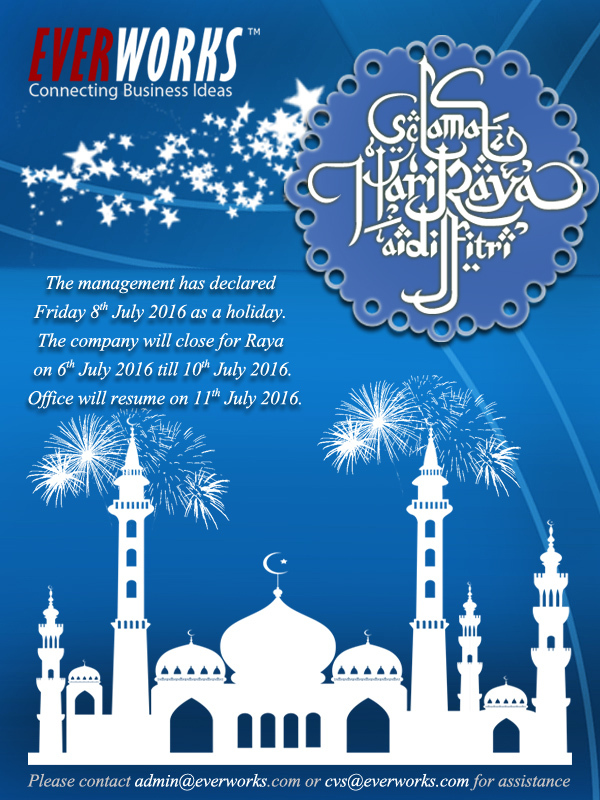 In conjunction with the celebration of Hari Raya Aidilfitri, we would like to inform you that our office will be closed on 6th of July 2016 (Wednesday). We will resume our operation on 11th of July 2016 (Monday). Kindly please do not hesitate to contact us if you need further clarification. We would like to take this opportunity to wish ‘Selamat Hari Raya Aidilfitri’.